Thanks to you! Giving Tuesday 2018 was a success! Due to your generosity, MYAC exceeded our goal with a grand total of donations of $14,945! 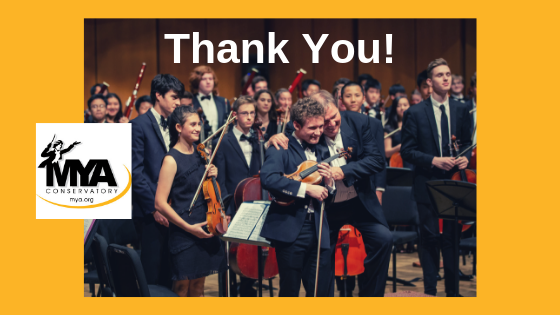 Because of this support, we can continue to foster the growth and development of children and teens by building a home with the power of music. A special thank you to Clucker's Charcoal Chicken. Clucker's Charcoal Chicken in Highwood & Libertyville generously donated 15% of all of yesterday's sales to MYAC.